How little a woman needs for happiness: only a little attention and love. And how can you show attention better than to please your soul mate with a beautiful bouquet of flowers and gifts? But not only this is the beauty of flowers. Because flowers like everything. Yes, absolutely everything! There is something attractive, mysterious, tender, incredibly fragile in them, and of course, to this whole mix there is also added an amazing aroma that captures the whole room and gives a feeling of coziness. Recently, more and more often began to appear services that specialize in flower delivery services. What are their advantages? The first thing to note is the simplicity of choosing a bouquet. Choosing flowers online you, of course, deprive yourself of the "opportunity" to stand in line among a lot of vases of flowers, often not even the first freshness. Some customers are worried about whether the flowers will be delivered fresh. Of course, they will. After all, for each order, flowers are selected individually, that is, the freshness of such flowers is guaranteed. In flower delivery services, only experienced and talented florists work, who will take into account all your wishes and make the flower arrangement spectacular and surprisingly beautiful. As noted earlier, the advantage of using flower delivery services is the lack of the need to go to the flower shops in search of those flowers that will appear fresh and will please you, as well as the need to stand in lines. For people who value their time, the flower delivery service is truly a real salvation. Most often, after buying a bouquet in a flower shop, the question arises: how do you get them to your destination so that you can save the whole beauty of the bouquet? It is especially problematic to preserve all the beauty of flowers and prevent their withering on hot days. After all, heat adversely affects the initial state of flowers. After purchase, even the most spectacular bouquet after a couple of hours of improper transportation to the destination loses all its splendor and elegance. Even if we are not talking about transport, the wind can strongly "spoil" the flower arrangement. The advantage of delivering flowers is that such services use special transport, which allows you to keep the beautiful appearance of the flower arrangement. 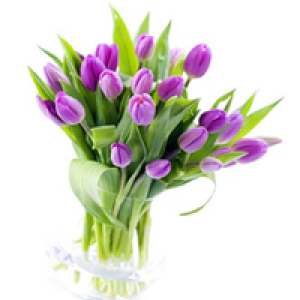 Most often, the delivery of flowers provides a huge range of different packages. Naturally, the quality and type of packaging affects how the bouquet will look. Unfortunately, flower shops often have only a couple of colors and a couple of types of packages that do not allow you to realize your idea of ​​a flower arrangement. Ordering flowers through the Internet, you can note how you represent the bouquet up to the color of the ribbon on the package, and the florists will fulfill your order as beautifully and as nicely as possible. In fact, the opportunity to present flowers secretly is the greatest plus of delivery services. Thanks to this opportunity, you can arrange a really surprisingly pleasant surprise to your half. 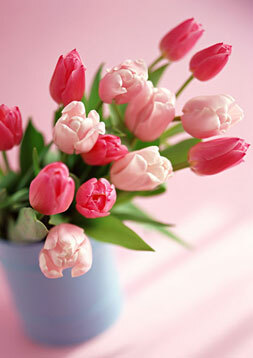 In addition, if you do not have the opportunity to present flowers yourself, you can be near, even being far away! And for this you do not need a teleporter, just order your second half flowers using the delivery services. The joy in the eyes of your beloved is guaranteed! In addition to the beauty of the bouquet, a huge role in this case will surprise such a surprise. And when ordering the delivery of flowers to BuketLand, you can be sure that the bouquets will be made only from beautiful, fresh flowers and only by experienced florists.